Facebook Live not only combines social media and live video streaming, they’ve simplified it to the point where anyone can participate. 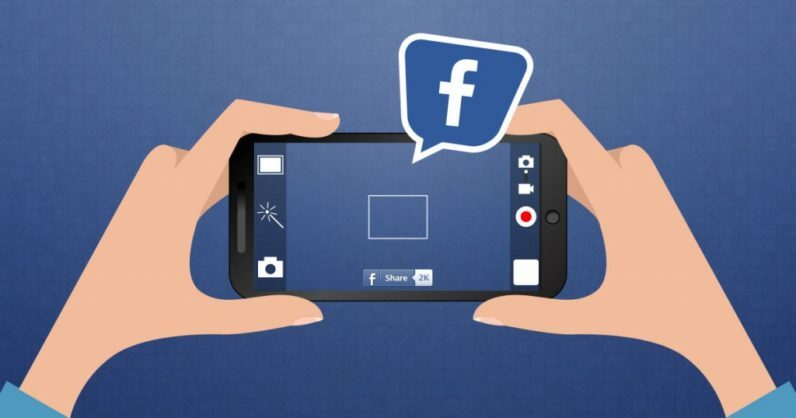 Your business can capitalize on the many features of Facebook Live, which you can use to attract followers, gain traction, and increase sales. If your business caters to anything in the service sector, or is even the least bit service-oriented, Facebook Live lets you share daily updates, tips and hints with your followers and customers. Daily tips, especially if they have useful information or if they can save time, energy and money, have the potential to go viral on social media, especially when they gain traction in the form of likes and shares. Business gurus, coaches, and experts in many different fields have used this model to build a following of individuals who not only buy their products and services, but also want to apply the things they learn in similar areas. One of the most compelling reasons to implement Facebook Live in your marketing campaign is the ability for your target audience to react to your video as it streams. This is particularly useful when your company hosts events such as conferences and conventions, where only a cross-section of your followers would be in attendance. Instead of closing off your event to a majority of your followers, live streaming puts them in the middle of the action and allows you to engage with them. Your followers have the opportunity to listen to keynote speakers, watch sessions or demonstrations, and participate in other key aspects of the event. Whenever we have the opportunity to get a closer look at how things work, we rarely turn it down. Seeing how the magic happens is truly a privilege. All of us are inclined to be curious about how things work and how things get done. Facebook Live allows you to give your followers and customers a glimpse of your operational processes, decision-making, or even just a peek at what happens on an ordinary day in your company’s life. Of course, your competitors may want to view this kind of special content, but your fans would appreciate the transparency, humanity and even candor, which can strengthen your brand identity in ways you never thought possible. If you have a killer app, cutting edge tool, or game-changer, chances are you’ve taken a ton of pictures, uploaded a data sheet and promoted it on social media to generate plenty of traction. To fully capitalize on the hype, why not use Facebook Live to document the launch? Your followers would benefit from being able to watch a demo and see it in action. As an added bonus, when your customers can see how popular your new product is on Launch Day, they instinctively feel the dreaded fear of missing out, or “FOMO”, which can boost sales from buyers who wouldn’t be in attendance at the launch. Facebook Live stands out because it’s new. Live streaming isn’t exactly cutting edge, and there are plenty of ways people can participate, either by consuming or producing content. The difference here is that Facebook Live is so accessible—there’s no need for viewers to sign up or memorize a new password. All they have to do is participate. A lot of people still have yet to see a Facebook Live stream, which increases the Wow Factor for when they actually engage. You gain a greater chance for engagement. With Facebook Live, you have the opportunity to interact with your followers in a more meaningful way. People who interact live with others on Facebook Live tend to also be very active in the Comments section for other posts, and you can expect more of them to Like and share your posts with their friends and followers. Facebook Live increases leads and sales. Let’s face it: Facebook advertising can only do so much to move your products and services, and measuring the performance of these ads can be tricky. However, it wouldn’t hurt to plug your products in Facebook Live, or at least mention them casually. Every little bit counts, and dropping names wherever possible can generate all kinds of conversions. It lets you brainstorm ideas for future content. The great thing about engagement is that you get feedback and perspective that you don’t normally experience by posting photos, articles, or other static content. You don’t even have to ask your followers for these ideas, since there will always be someone with ideas or opinions that you can use for the benefit of your business. You might gain flow on impact with the rest of your reach. When you get good engagement on any given Facebook update, you get a sense of what works and what doesn’t. Facebook Live helps your future updates get seen by a bigger audience. Facebook Live lets you try new techniques and get immediate feedback. To really get the most out of Facebook in general, you need to get and use feedback. Facebook Live allows you to have an almost real-time conversation with your followers, allowing you full reign to experiment and try new things. How are you making the most out of what Facebook Live has to offer? Let us know by leaving a comment below. Read next: Google vs. Tesla - Who Will Lead the Market for Self-Driving Cars?